Brandeis University is a private research university with a liberal arts focus,located in Waltham, Massachusetts, United States. It is located in the southwestern corner of Waltham, nine miles (14 km) west of Boston. The University has an enrollment of approximately 3,200 undergraduate and 2,100 graduate students. In 2009, it was ranked by the U.S. News and World Report as the number 31 national university in the United States.Forbes listed Brandeis University as number 30 among all national universities and liberal arts colleges combined and among the top 15 national research universities in 2009. Brandeis was founded in 1948 as a nonsectarian coeducational institution on the site of the former Middlesex University. The university is named for the first Jewish Justice of the United States Supreme Court, Louis Dembitz Brandeis (1856–1941). Brandeis sponsors the Wien International Scholarship for international undergraduate students. Founded in 1948, Brandeis University is named for the late Louis Dembitz Brandeis, the distinguished associate justice of the United States Supreme Court, and reflects the ideals of academic excellence and social justice he personified. Coeducational classes began on the site of the former Middlesex University in Waltham, Massachusetts, with 107 students and 13 faculty members. Guided for 20 years by its founding president, Abram L. Sachar, Brandeis grew quickly, establishing itself as an important national and international center for teaching and research. In 1962, only 14 years after the university's founding, Phi Beta Kappa accreditation was conferred. Under each succeeding president, the university continued to grow in breadth and stature, while maintaining the very human scale of its educational environment and its solid liberal arts focus. 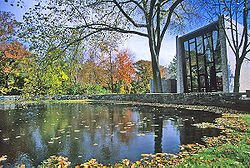 In 1985, Brandeis was elected to membership in the Association of American Universities, which represents the 62 leading research universities in the United States and Canada. The College of Arts and Sciences comprises 24 departments and 22 interdepartmental programs, which offer 41 majors and 46 minors. The Brandeis University Press, a member of the University Press of New England, publishes books in a variety of scholarly and general interest fields. 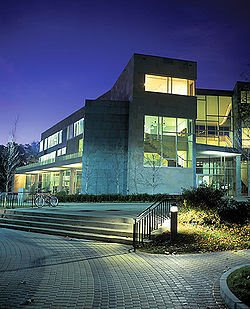 The Goldfarb Library at Brandeis has more than 1.2 million books and 60,000 e-journals.